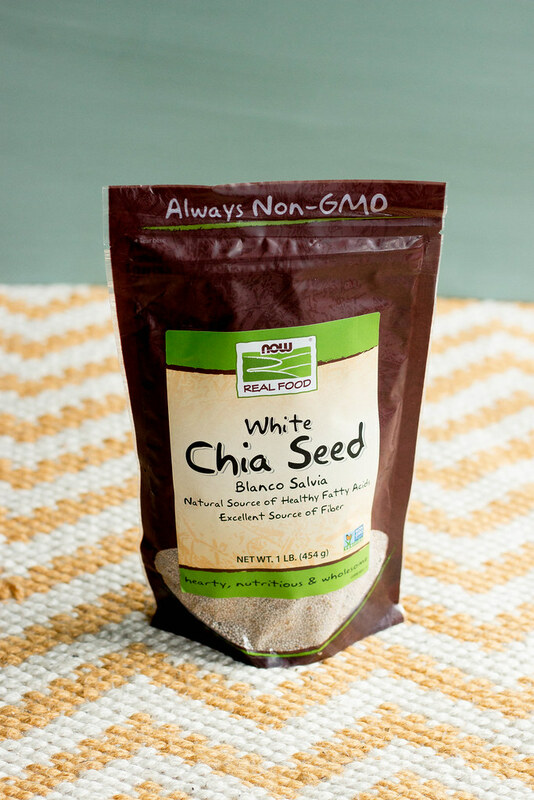 When I started looking at products for my monthly NOWFoods Shipment I cam across White Chia Seeds - they looked so pretty I couldn't pass them up. 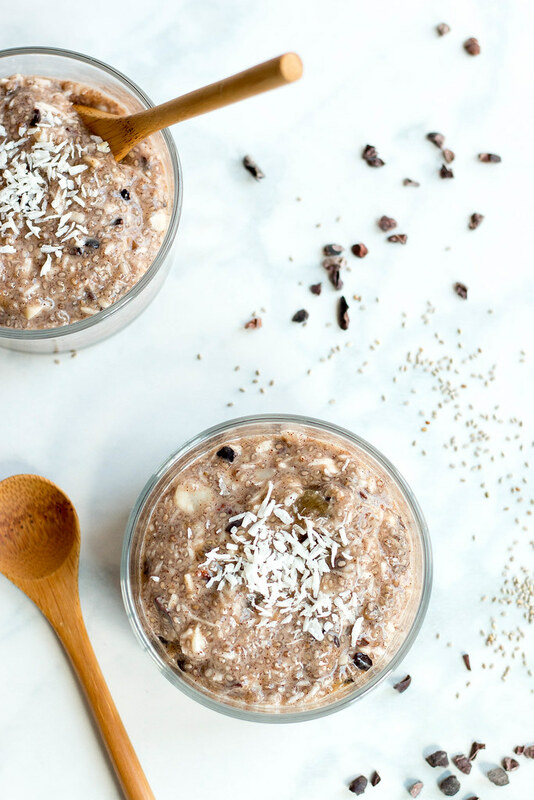 There is very little difference between a black + white Chia seed // they are virtually equal in all health benefits chia is known for - looking for more? check this article out. 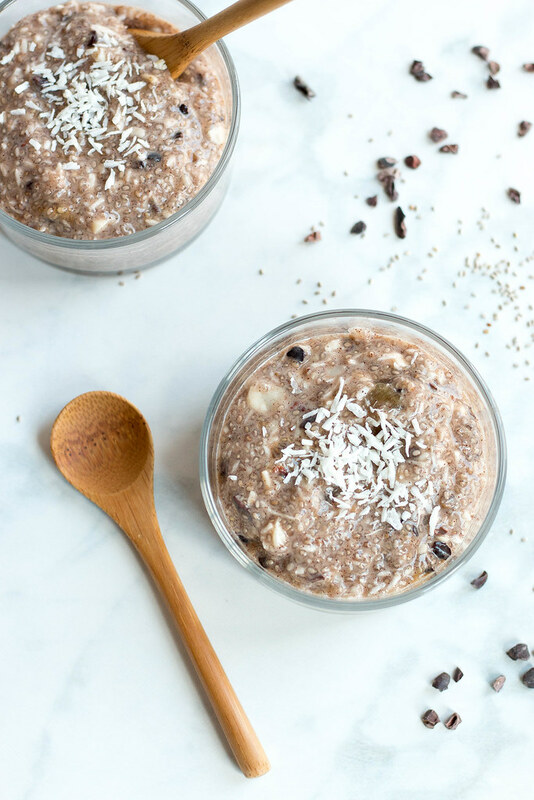 The key to this chia pudding are the add ins- macadamia nuts ( you can use any nut on hand), cacao nibs, shredded coconut, dates, cinnamon and maple syrup. 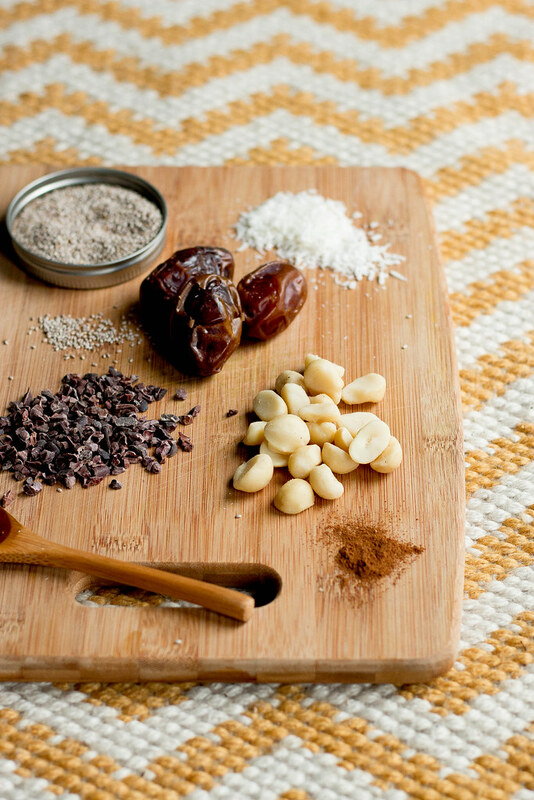 Breakfast or dessert worthy ingredients. 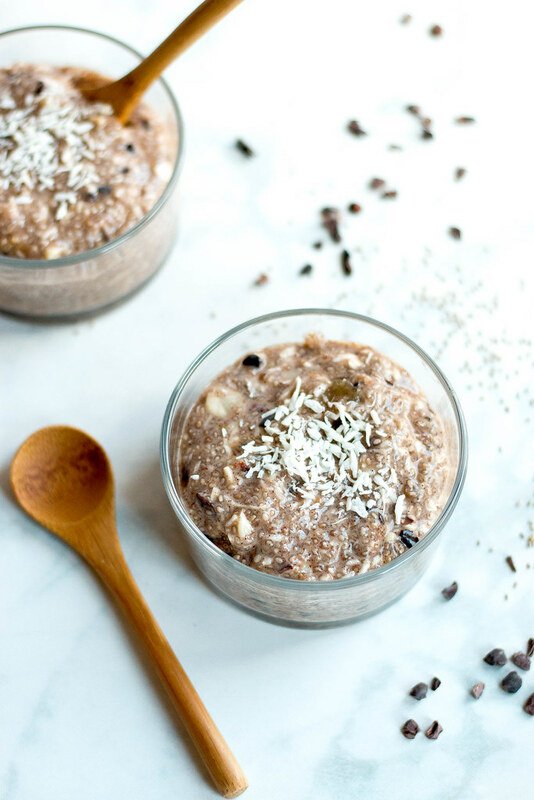 I would LOVE for you to make this in your own Kitchen and of course NOW Foods wants to share the love too! 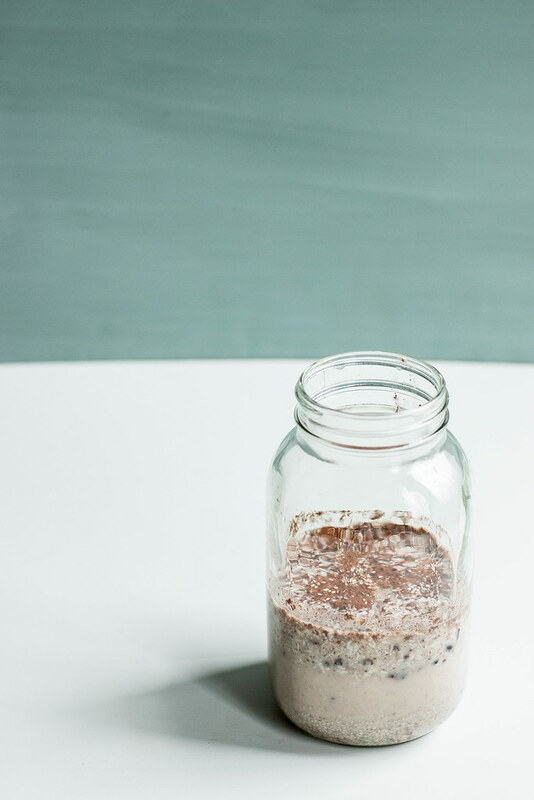 Mix all ingredients in a bowl, if storing in the bowl use a bowl with a tight fitted lid // large mason jar or divide between 2-4 small mason jars with lids. 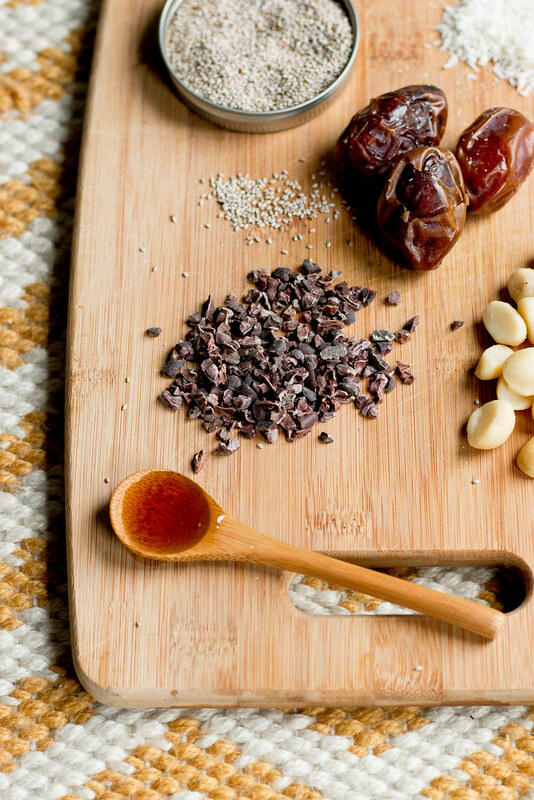 Garnish with extra cacao nibs, coconut or macadamia nuts. Looks delicious. 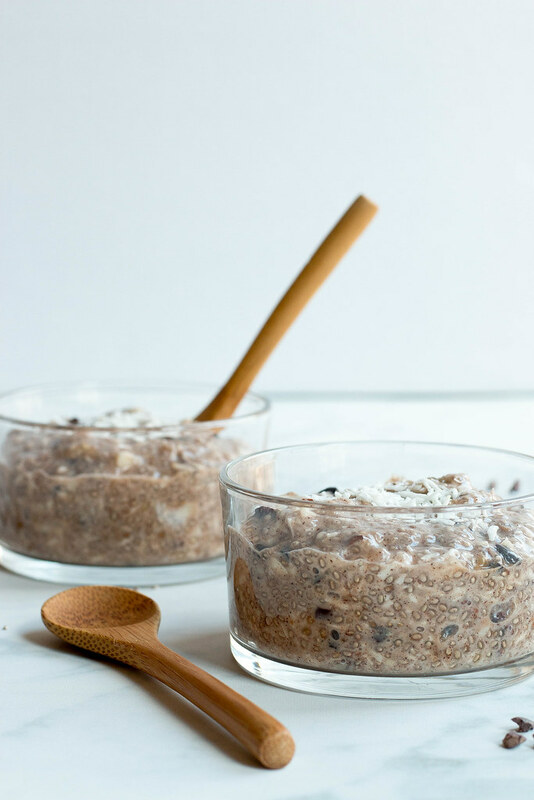 I love to top my oatmeal, toast, & yogurt with chia seeds, but haven't tried chia pudding yet! 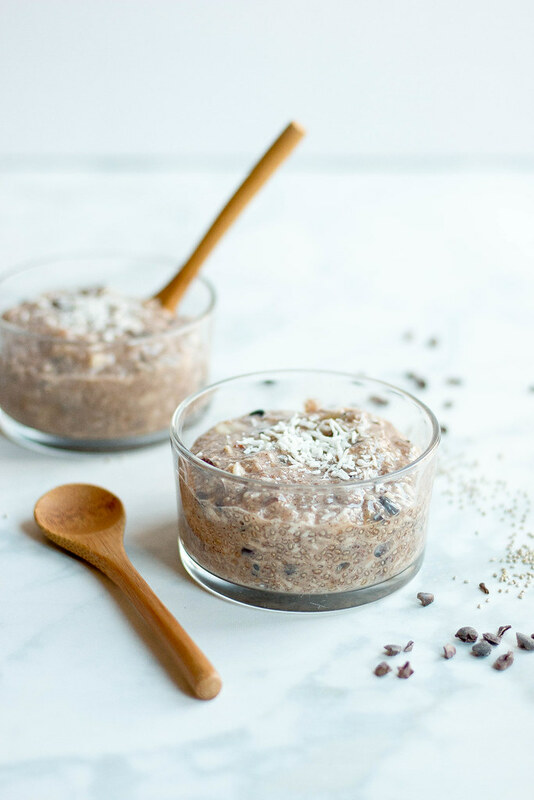 I've always loved chia seeds!